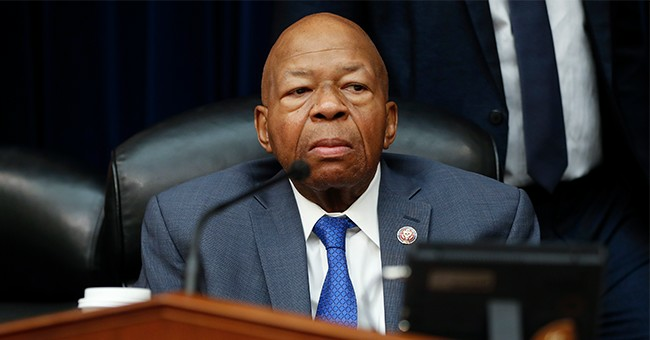 House Oversight and Reform Committee Chairman Elijah Cummings (D-MD) warned Attorney General William Barr in a letter Thursday that if DOJ official John Gore doesn't obey his subpoena and testify before the panel, they are prepared to hold him in contempt of Congress. The DOJ had previously informed Cummings that Gore will not appear unless he's allowed to have an agency lawyer by his side. Cummings indicated that the committee wants to glean information from Gore about the citizenship question that was added to the 2020 census under the direction of Commerce Secretary Wilbur Ross. The House Oversight Committee grilled Ross last month about the change, which he defended. Democrats like Rep. Jackie Speier (CA) asserted that Ross's voting rights justification "was just a cynical pretext to trample on the rights of immigrants." California was among the coalition of 17 states that sued the Commerce Department over the census change. Conservative lawmakers, as you can imagine, have a whole different perspective. Rep. Jim Jordan (R-OH) came out with a report today accusing Democrats of "fear mongering" and added that the campaign Cummings is leading against the citizenship question is a "partisan investigation." "The Democrat fear-mongering about the citizenship question on the 2020 Census is disingenuous and wrong," Jordan writes. "Soliciting citizenship information from the people present in the United States is not new and should not be controversial." He corroborated that claim by then citing history. "Every decennial census from 1820 to 1950 inquired about citizenship," he writes. "From 1970 to 2000, the long-form census—sent to a segment of the population—inquired about citizenship. Since 2005, the Census Bureau has asked 3.5 million Americans about their citizenship every year." Jordan could only guess that Democrats "do not want to know how many citizens there are in the United States." The Supreme Court will soon consider whether the citizenship question violates the Constitution and the Administrative Procedure Act.